Helps the sales department manage the pipeline and plan for the volumes they need to sell. Helps inventory planners to maintain stock at optimum levels. Helps finance department maximise cashflow by optimising inventory. 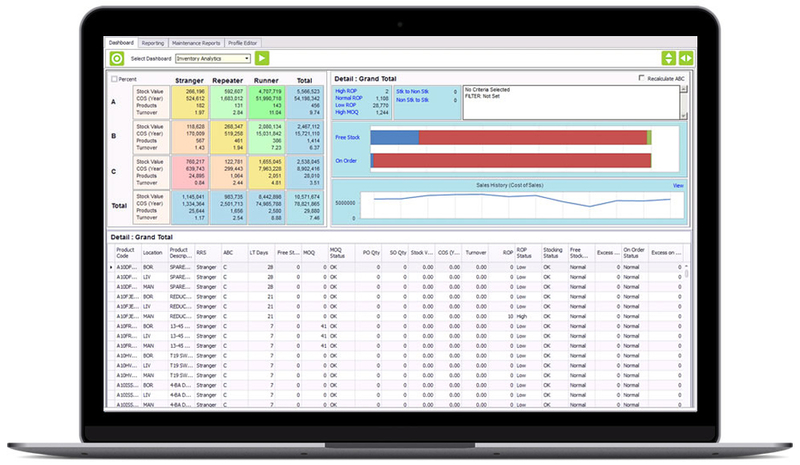 Integrates forecasting into inventory management. Enables overriding of forecasts with market knowledge. Continually monitors & reports on effects of business trend. Recommends actions to meet service level & inventory needs. Uses accuracy & exception reports to make rapid adjustments to forecasting, minimise surplus inventory & eradicate stock outs. IMA Stock Smart uploads various data from your host system. This data is processed to provide a sales/production forecast, sensible reorder points/safety stocks and ideal suggested production/purchase orders. 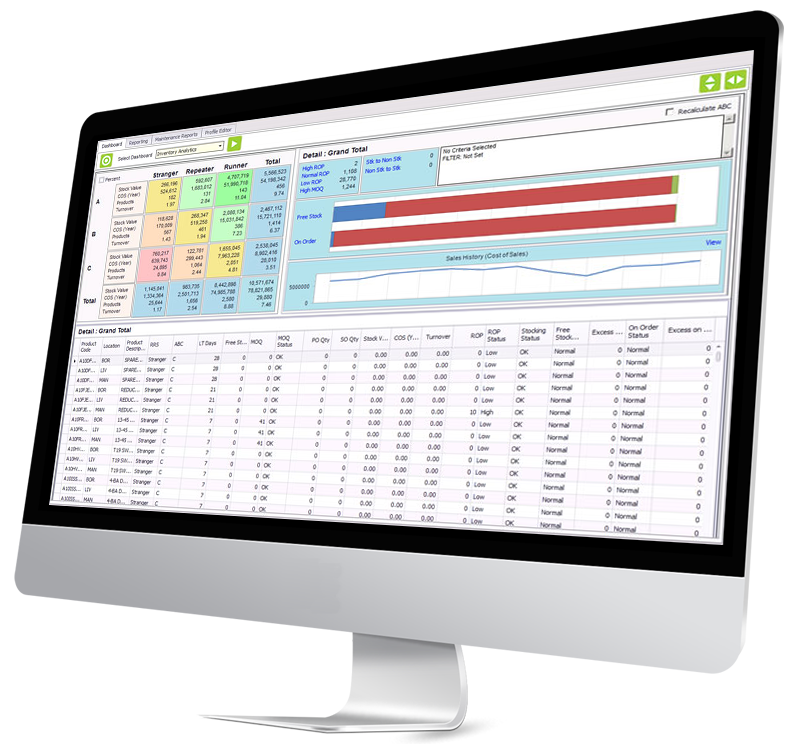 Item classification, exception reporting and dashboards allow you to focus on the most critical inventory items. SQL Server provides a robust, industry standard, database engine. “In my opinion, this is one of the best Demand Forecasting & Stock Management systems I’ve come across in my thirteen years in procurement."